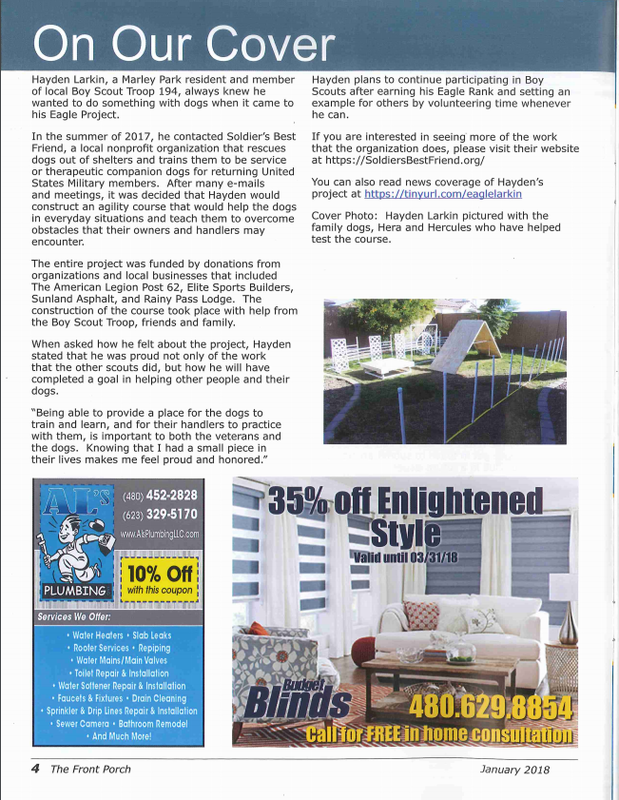 Elite Sports Builders is proud to have had an opportunity to support Hayden Larkin of Boy Scout Troop 194 in the creation of his Eagle Scout Project which set out to build a training course for dogs that are rescued and rehabilitated as service animals or therapy companions through local nonprofit, Soldier's Best Friend. After reaching out to Soldier's Best Friend in the summer of 2017, Larkin worked with local organizations to fund the entire project with donations from The American Legion Post 62, Elite Sports Builders, Sunland Asphalt, and Rainy Pass Lodge as well as help from his troop, friends, and family. The project has been designated as an agility course that will assist the dogs in navigating everyday situations and overcoming physical obstacles that their owners may encounter. 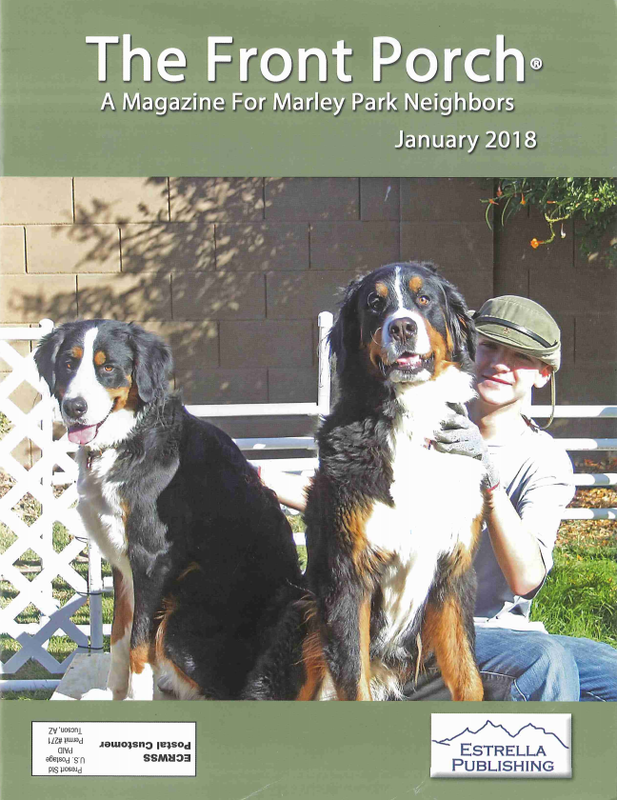 According to "The Front Porch" who originally covered the story, Larkin stated that he was "proud not only of the work that the other scouts did but how he will have completed a goal in helping other people and their dogs." "Being able to provide a place for the dogs to train and learn, and for their handlers to practice with them, is important to both the veterans and the dogs. Knowing I had a small piece in their lives makes me feel proud and honored," he says. Read the full cover story to hear Larkin's plans for the future, and make sure to visit https://SoldiersBestFriend.org to find out how you can get involved too!